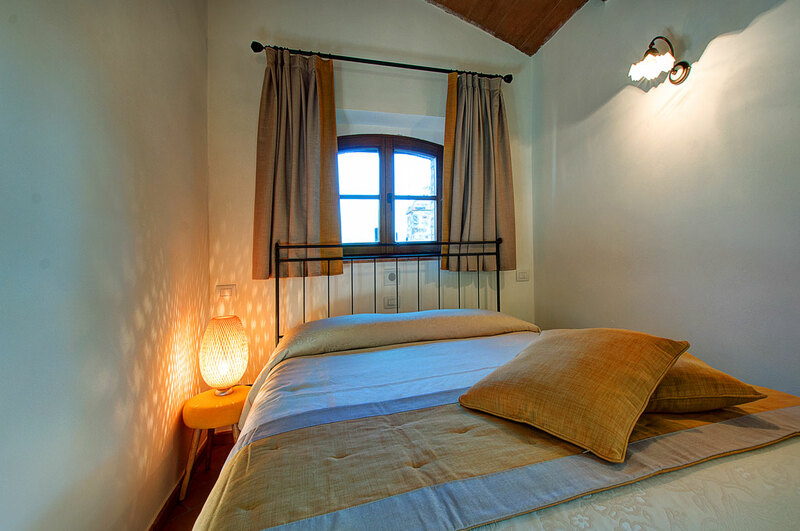 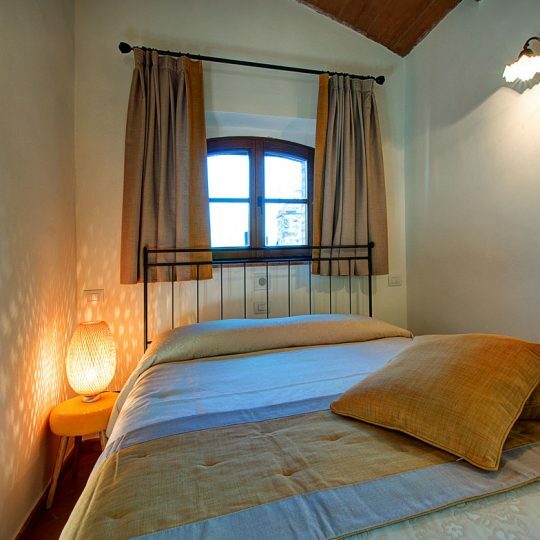 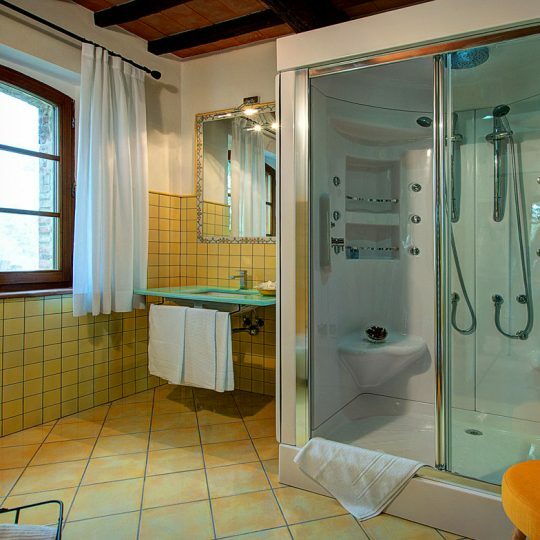 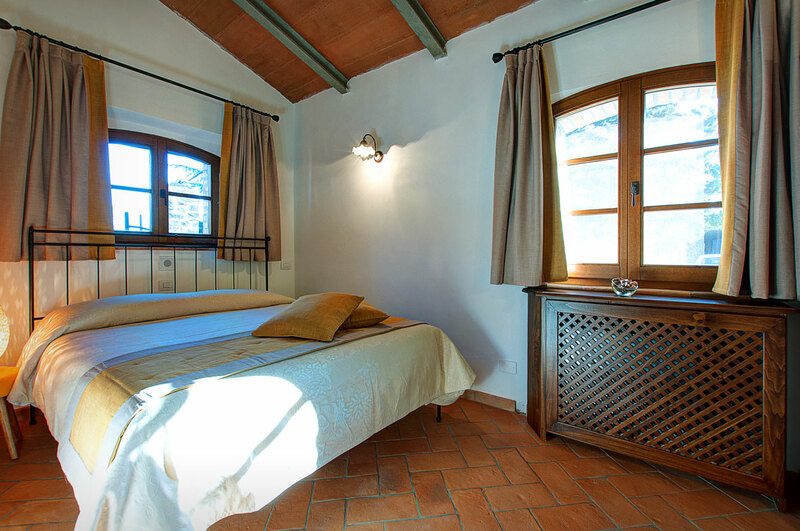 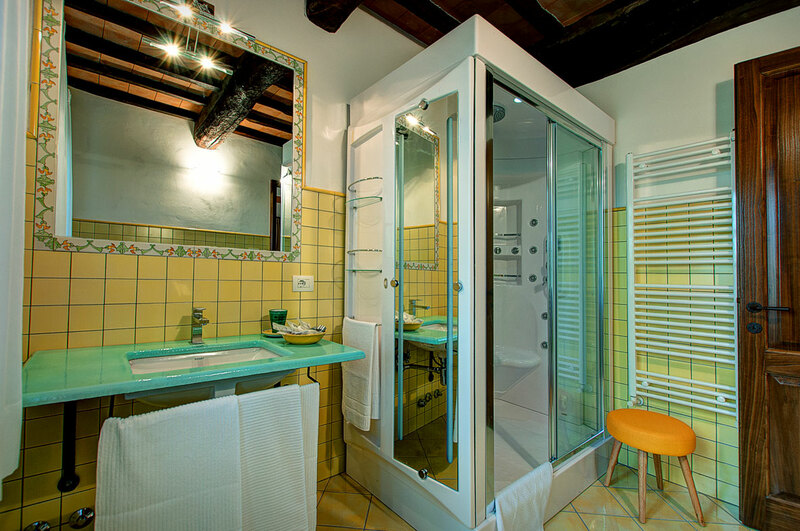 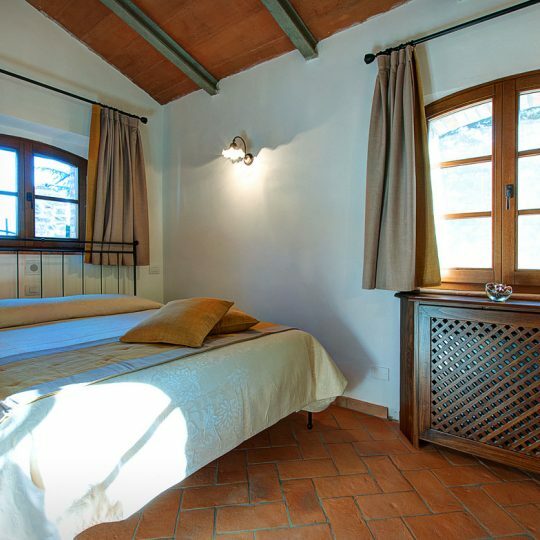 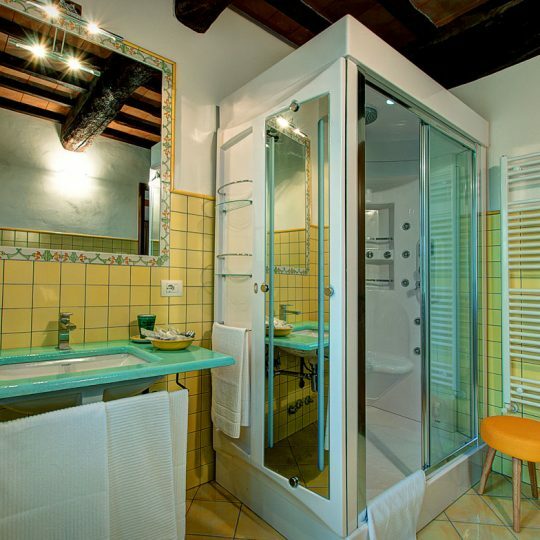 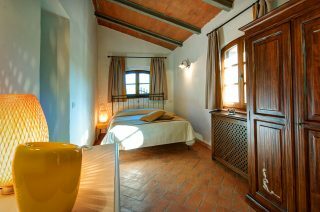 Although of compact dimensions, the room has a charming Tuscan feeling remarked by the typical wrought iron bed, will transport you to the unique Tuscan life. 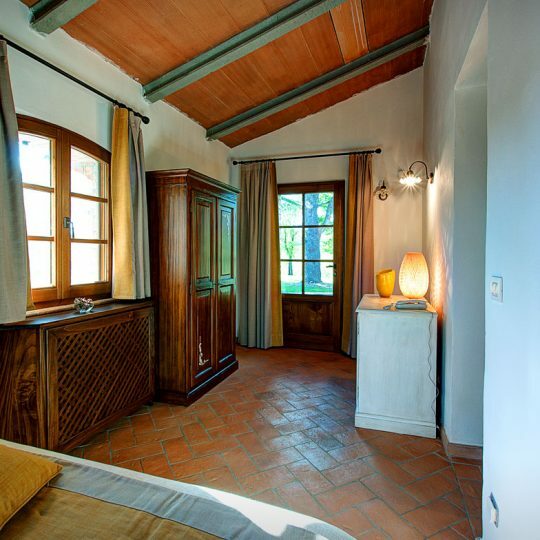 It has an independent entrance with direct access to the garden. 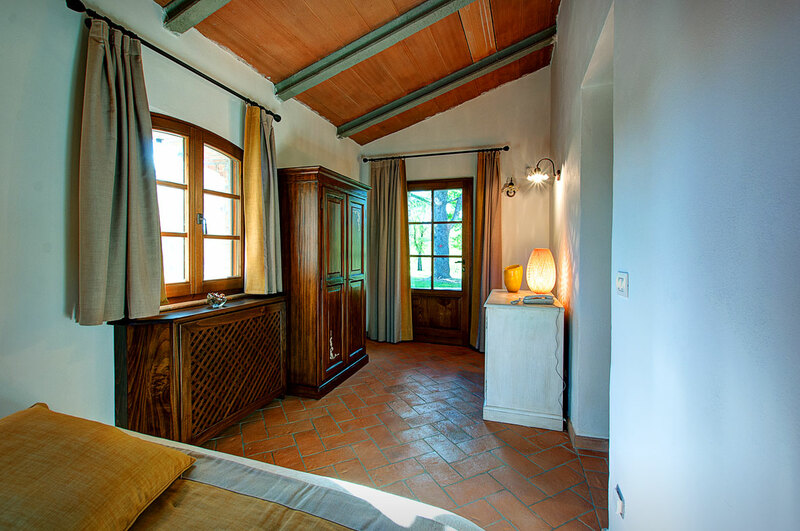 The landscape admired from the window is an enchanting side the forest scenery at the bottom of the hill.